The museum takes up winter quarters at the Nautic! The museum takes its winter quarters at the Nautic, Porte de Versailles! Come and discover our stand, the museum and its 5 sites (Brest, Port Louis, Rochefort, Toulon and Paris) and discuss our news. Find us also on the stand of the National Society of Sea Rescue (Lifeboat). 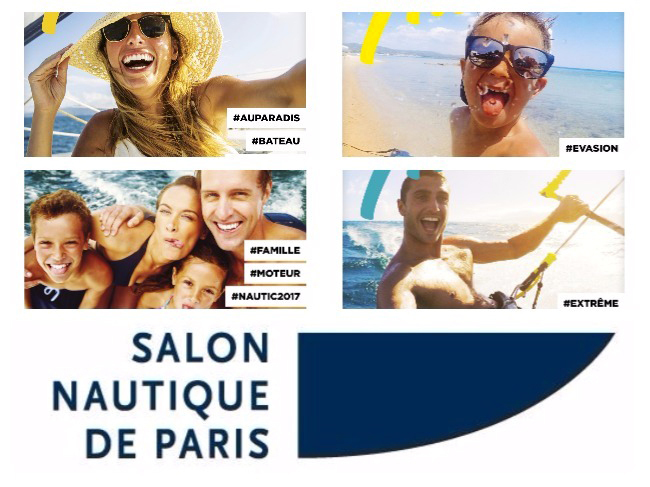 From 17h to 17h30, attend the award ceremony'Association Friends of the Old Sea Rescue Canoes (AACSM) - Bénéteau Foundation to the 2017 laureate by Annette Roux, president of the Bénéteau Corporate Foundation, in the presence of the jury members and Xavier de la Gorce, president of the jury and the National Society of Sea Rescue (SNSM) . This prize contributes to the preservation of the old lifeboats. From 17h30 to 19h, a round table is organized by the museum, SNSM and AACSM and dedicated to the heritage of sea rescue. Archives, collections of objects, old canoes, navigating or not, coastal shelters, etc. this heritage, present on all the coasts of France, mobilizes professionals and volunteers who will share their experiences and their visions. Round table moderated by François Casalis, vice-president of the Maritime and Fluvial Heritage Association. With Patrice Brault, SNSMS, Vincent Guigueno, curator of MayDay! Voices and faces of the rescue at sea at the National Maritime Museum in Port Louis, Yann Mauffret, Chantier du GUIP - Brest, and Jean-Paul Ragot, AACSM. 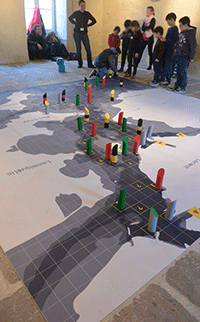 FAMILY ANIMATION "THOUSAND AND BUOYS"
Around a giant game board, discover the harbor of Lorient and test your knowledge to bring the sailors home. Beware of storm warnings, reefs and other surprises! Animation of one hour. Accessible from 6 years with family.